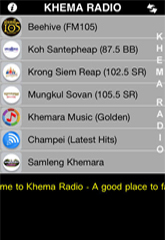 If you are into popular Khmer music or want to check news from Cambodia or around the world, this is the right application for you. * Some channels may not work, due to broadcasting time. 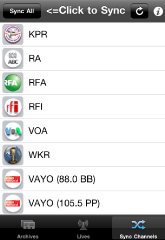 * Constantly adding more stations. Just do not forget to click “Sync All” button regularly. ខ្ញុំចូលចិត្តសេរីនេះជាងសេរីមុន ។ សេរីស្រួលប្រើហើយ interface ស្អាតហើយងាយចុច convenient ។ អរគុណសង្ឃឹមថានឹងមាន App ថ្មីៗ ចេញឆាប់ៗនេះ! Thanks Hanuman, for your comment and support. 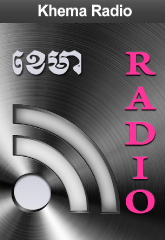 i want to downlog KHEMA RADIO TO MY DESTOP COMPUTER HELP ME PLS SIR THANKS. GOOD LUCK BYE. 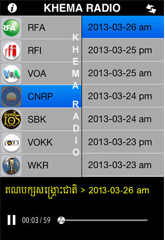 i want to cover cambodia infomation by khema radio,please . 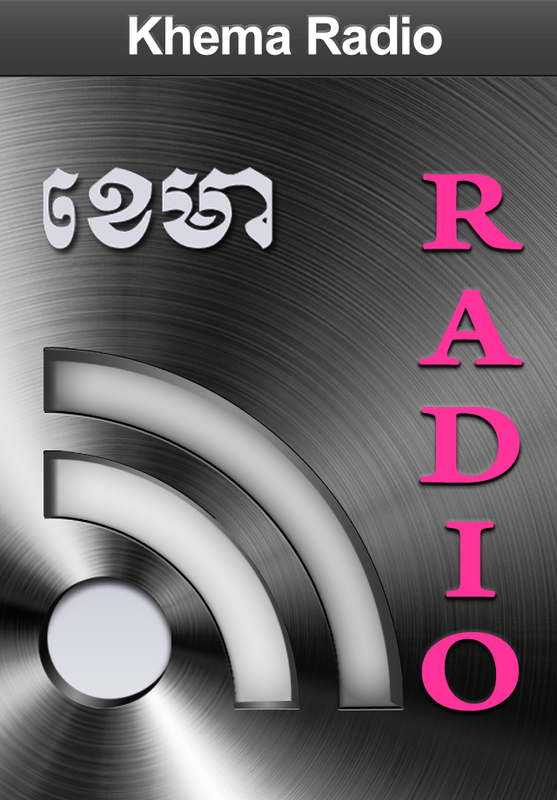 This program (khmema radio 4.0 )is not working on ipad 1 with ios 4.3 or 4.3.3 after running program it display while loading channel, then crash by exit.